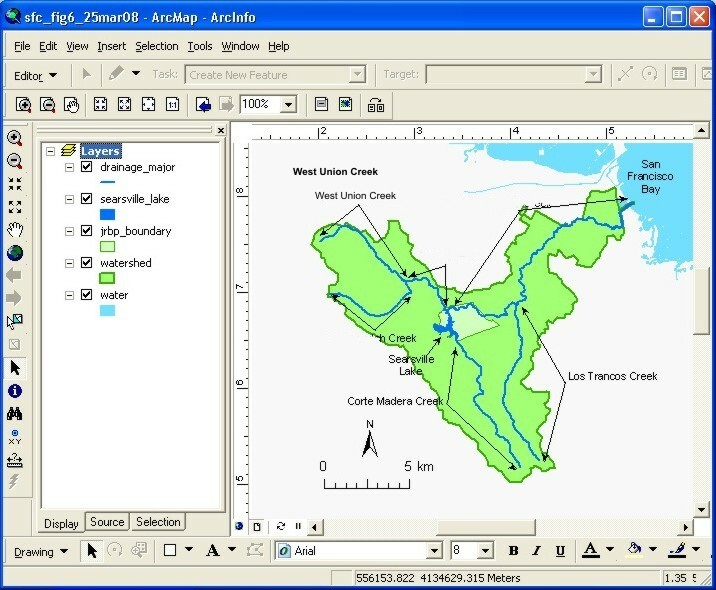 Service: Provide expert GIS analysis to support conservation research and consulting. Our GIS services can be used to create base maps, analyze existing datasets, conduct spatial analyses on distribution or density, and many others. 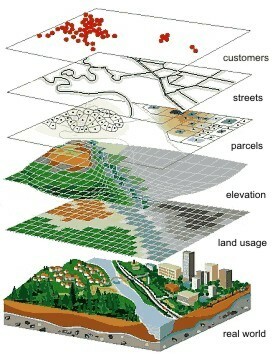 The Technology: GIS provides tools to organize, analyze, and display geospatial information. The technology integrates database operations such as query and statistical analysis with geographic analysis, modeling, and mapping capabilities. The flexibility and capabilities of a GIS come from its ability to store geographic information as interactive map layers which can be overlaid and related for advanced visualization and analysis. Our Contribution: We are equipped with the latest ArcGIS capabilities to provide GIS services in support of conservation research and consulting. We work closely with Earth Systems Research Institute (ESRI) as a beta tester and as a contributor to develop new tools, such as the recently released Solar Radiation Tools. We use GIS analysis in the majority of our projects, from basic mapping of sample locations to sophisticated modeling of microclimate as it influences population dynamics. • ArcGIS Solar Radiation Tools: http://webhelp.esri.com/arcgisdesktop/9. 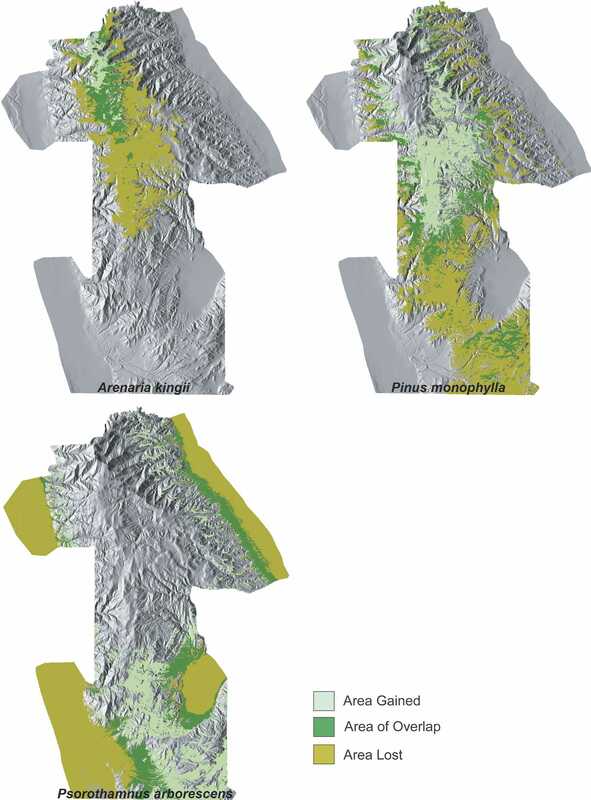 GIS-based predicted distributions of three plant species in response to climate warming (3°C temperature increase) in the White Mountains, CA (from Van de ven et al. 2007). 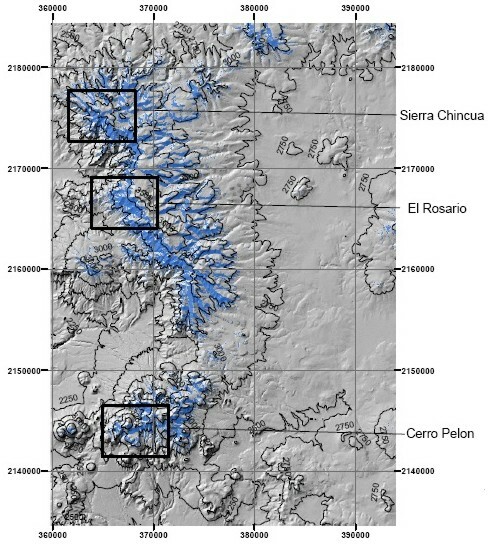 GIS analysis of microclimate predicts habitat suitability for overwintering butterfly populations in the Monarch Butterfly Biosphere Reserve, Mexico (from Weiss et al. 2005). 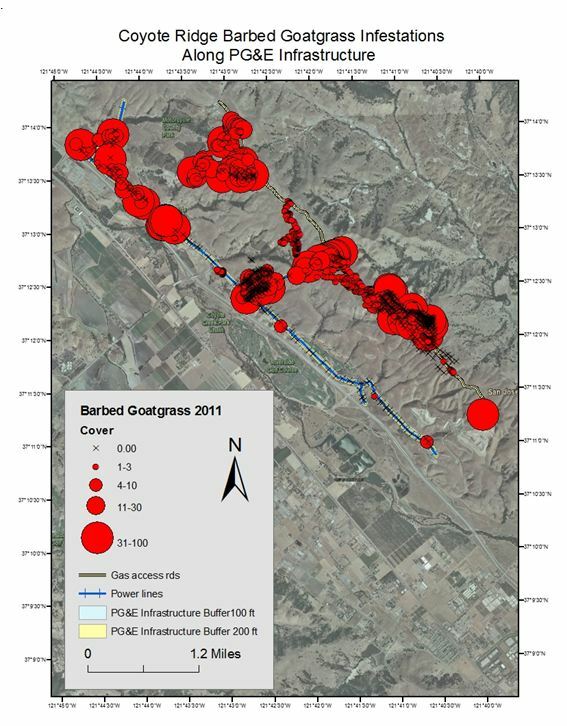 GPS mapping and GIS analysis of barbed goat grass (Aegilops triuncialis) has allowed Creekside to develop a treatment plan for this invasive grass.